How do I update the customer's email address? 2. Select the blue "Edit" button on the Top Right of the screen. 3. Scroll down to the "Email Address" field. 4. 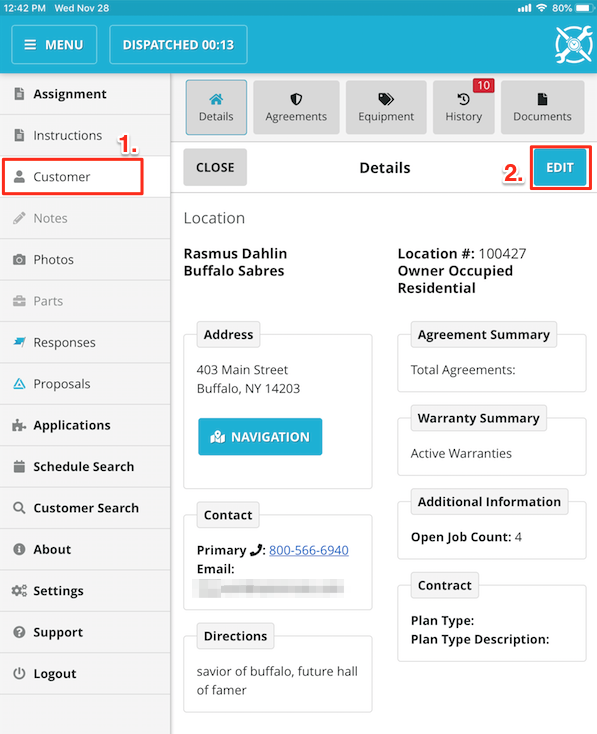 Edit the field to match the new email address the customer has given you. 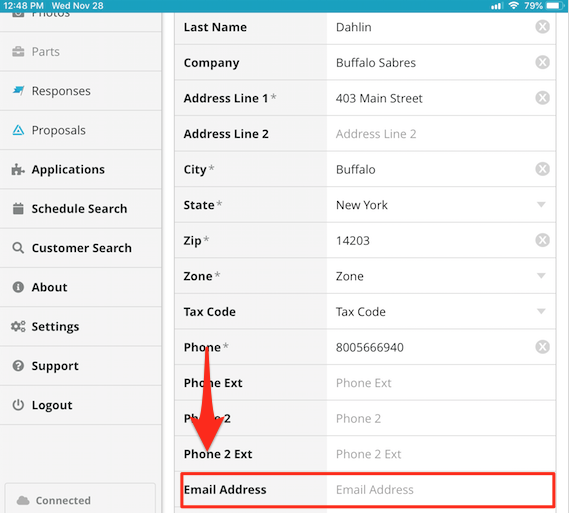 Another way to update a customer's email address is at the end of a job/call. 1. 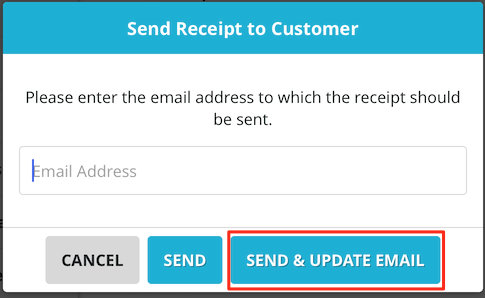 Once on the "Complete" screen you will see a button on the top left labeled "Send Receipt"
Another way to update the e-mail is on the last screen in SWRemote, the Complete screen. After you have filled the text field with the newly updated email address for that customer, click Send and Update Email. By doing this, you will send out the invoice to the new email address as well as replacing the customer's existing email in SuccessWare21 with the new one.